The creative duo behind experimental gastronomy group Bompas & Parr have demystified cocktails in this easy-to-use book for the at-home bartender. Sam Bompas and Harry Parr venture across a range of cocktails including Sours, Martinis, Old Fashioneds, Punches and Highballs to offer new interpretations and crazy concoctions. More than 50 recipes are split into chapters on gin, whisk(e)y, rum, vodka, Tequila, brandy, Champagne cocktails and Punches, with additional chapters covering the basics, techniques, and glassware. 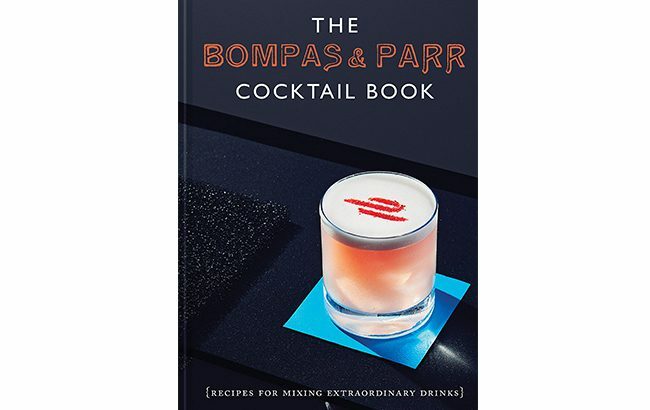 The Bompas & Parr Cocktail Book will be released on 4 September 2019 and is available to pre-order on Amazon UK for £9.99. It will launch in the US on 1 October on Amazon for US$16.95.